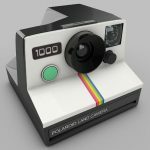 Home » Instant Cameras » Where to buy Fujifilm Instax 210 Wide Format Instant Camera? Often we try to fit too much into a picture that someone’s head gets cropped. It can be more than a little embarrassing for the person taking the picture when that happens. But like it or not, sometimes there are just too much people to fit into one regular picture frame. Now the Fujifilm Instax 210 Wide Format Instant Camera gives us a better alternative to cropped-out parts or too small images. 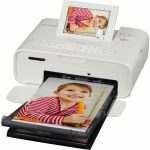 This camera takes extra wide film which prints to 86mm x 108mm wide; just about 3 times as wide as regular film. The camera even comes in an attractive and stylish modern design. Neither is the camera short on features. 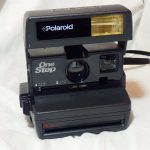 It has a close-up lens, 3 choices of image print brightness, automatic electric flash, automatic closing lens, and a forced firing mode for optimal backlit shots. 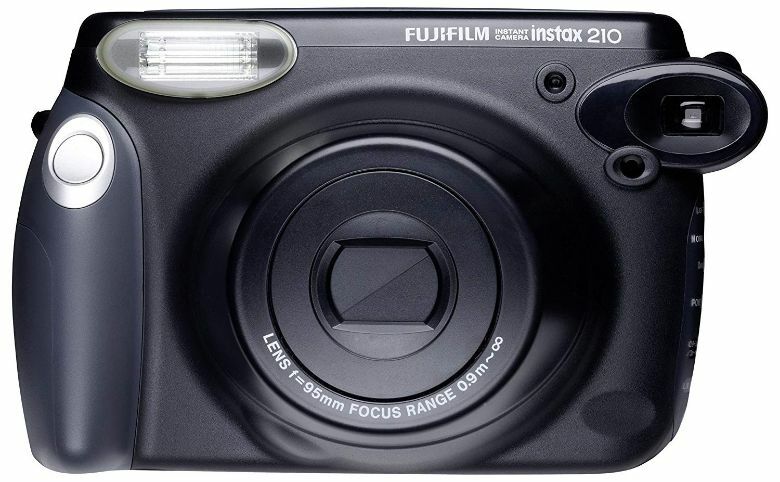 Amazon online seller Mobile Advance offers the Fujifilm INSTAX 210 Instant Photo Camera in elegant black color. Features include an LCD panel that displays focal distance and film count, programmed electronic shutter for speeds from 1/64 to 1/200 second, auto flash, and two ranges of focus distance options. Print size is a wide 86mm x 108mm. Gift wrapping and next day delivery are available. 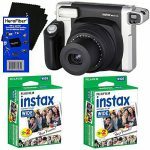 If you’re interested in shooting wide instant pictures once you get your Fujifilm INSTAX 210 Instant Photo Camera, Amazon trader ‘The Imaging World’ offers this camera and film bundle. 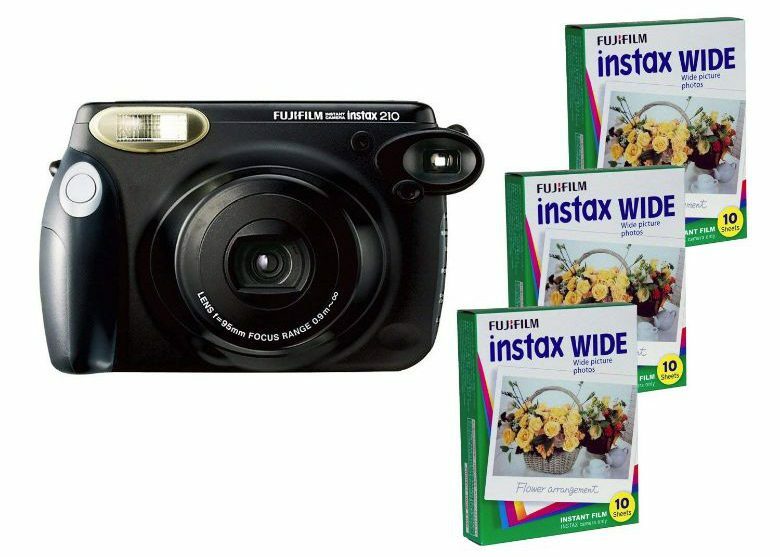 This package lets you have three 10 exposure packages of wide format Fujifilm Instax films along with the camera. With its advanced features, once you get this package, all you have to do is load, point and shoot! Not too many people may be aware of it, but there is a beautiful but rather rare silver version of the Fujifilm INSTAX 210 Instant Photo Camera. Mel Pierce Camera offers this attractive instant camera bundled with 4 packages of Fujifilm Instax film in the Wide Format, with each film package good for ten exposures. 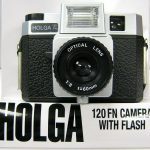 You get a good looking camera which takes better looking wide format pictures. 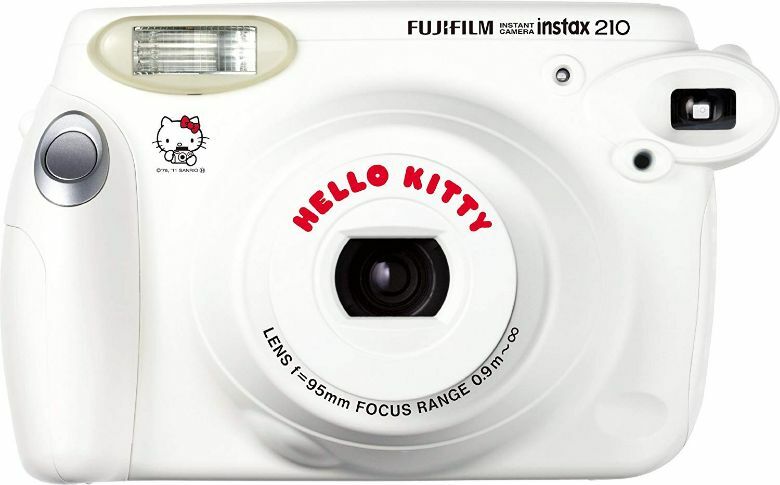 For those who love a hip and modern design, online merchant Digital Guy offers the Fuji Instax Hello Kitty Instax 210 Wide Format Fujifilm Instant Camera. The case is all white with a “Hello Kitty” imprint on the lens frame, and a small Hello Kitty image just below the flash. It is the same feature-packed Fujifilm Instax 210 Wide Format Instant Camera in a youthful and fun frame design. This item ships from the Republic of South Korea. 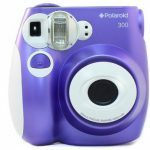 If you want to be able to fit more people into an instant picture, then the Fujifilm Instax 210 Wide Format Instant Camera offers a practical solution. 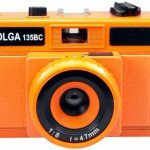 There are a number of merchants offering the camera in different casing designs and bundles which include wide format instant films. Check and choose the deal that suits your requirements best.